We know that a positive childhood dental experience is critical in forming a life long habit of good dental health. 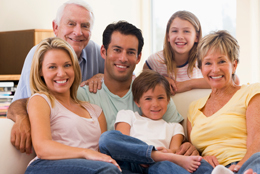 Our dental family consists of parents, grandparents and the love of their lives….their children and grandchildren. We love kids and have taken great care to ensure your children will have the best dental experience possible. Dental phobias can begin early in life and our goal is to make sure we address the dental needs of children as if they were our own. Our first step is to spend time with you and your child discussing teeth brushing skills and food choices that help prevent tooth decay. We also review your child’s medical and dental history, take any necessary x-rays, perform a cleaning, fluoride treatment, and inform you of your child’s present dental needs along with any recommended treatment. 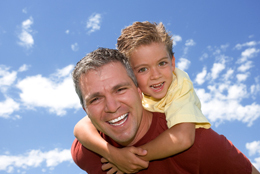 Parents play a vital role in helping make the first visits to the dentist enjoyable and positive. If your approach with dental visits is in a casual manner the chances are much better that your child will acquire a casual demeanor also. We try to explain all dental procedures with non-threatening language, staying away from words that cause unnecessary fear. We believe children are unique and precious individuals, and we embrace the opportunity to make your child’s dental visit fun, exciting and educational.